Chitral located in the North west of Pakistan is a beautiful valley in the Hindu Kush range of Mountains. It has always been a very important route for many invaders to south east Asia, including Alexander the great Scythians, Mongol Changez Khan and numerous others. Chitral is a small town with a small bazaar, which has many shops selling antiques and local products. At the end of Bazaar on the right (Riverside), there is the Chitral fort and Palace of Mehtar (Mir Or King) In front of the Fort is the Jami Mosque of Chitral an impressive architecture with beautiful inlays and decorations. The Kalash or the Kalasha are the only pagan minority residing in the Chitral district of the province of Khyber Pakhtunkhua. They form the smallest minority in Pakistan. As the kalsh, people say, “Long, long ago, before the days of Islam, Alexander came to India. The Two Horned one whom you people call Alexander the Great. He conquered the world, and was a very great man, brave, dauntless, and generous to his followers. When he left to go back to Greece, some of his men did not wish to go back with him but preferred to stay here. Their leader was a general called Shalakash (i.e. : Seleucus). With some of his officers and men, he came to these valleys and they settled here and took local women, and here they stayed. We, the Kalash, the Black Kafir of the Hindu Kush, are the descendants of their children. Still some of our words are the same as theirs, our music and our dances, too; we worship the same gods. 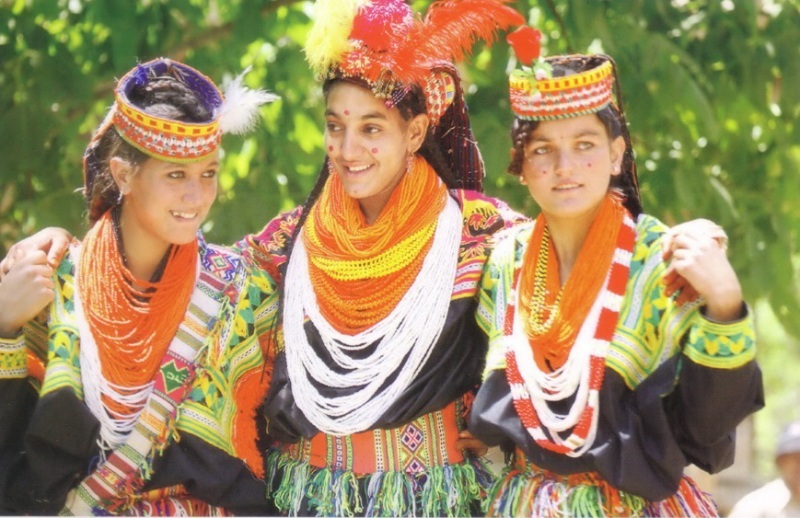 This is why we believe the Greeks are our first ancestors.” The Kalash are living in a remote area of northwestern Pakistan on the steep slopes of mighty Hindu Kush. It seems they have a great deal of similarities with the Greeks from Alexander’s time, such as their religion, their culture and their language.